Have you thought that your favourite vegetable might actually be chocolate? I have to admit it rates high on my list. Chocolate has been recognized as having health benefits for quite a while due to the wonderful antioxidants it contains, in fact more than any other fruit or vegetable. Raw cacao is an excellent source of antioxidants and has an extremely high ORAC score as one of the top antioxidant foods. With Easter just around the corner I thought I would bring you a bit if happy news this week…Chocolate can be good for you! But only if it is the right kind. I’m pretty sure you have heard those media reports about how chocolate is a good source of flavonoids which have antioxidant activity. Well it is absolutely true, in particular epicatechin and resveratrol. But, there is quite a lot of confusion about just what makes good and bad chocolate so here are a few guidelines to help you make your Easter chocolate choices. Chocolate comes from Theobroma Cacao beans which in their pure form are quite healthy. The name actually means “food of the Gods” and cacao is loaded with wonderful compounds, including magnesium which is a muscle relaxant that helps you feel calmer, and sulphur which helps build strong hair and nails. Cocoa is made by grinding the cacao beans to a powder from which most of the fat is removed. Cocoa butter is the fat component of the seed, and chocolate is the sweet that is made from the roasted seeds. If the sweet is made from seeds that are not roasted then it is ‘raw chocolate’ and like most other vegetables, ‘raw’ chocolate is much healthier than the version made from roasted beans. 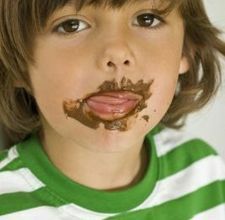 Chocolate has a long therapeutic history. Originating in South and Central America it was originally drunk as a bitter drink to bring energy and vitality and bore little resemblance to the sweet, sticky versions that we love today. Chocolate when consumed in a way that is closer to the traditional ways still provides wonderful benefits. The Kuna people of Panama, for example, consume up to 40 cups of cocoa a week and have less than a ten percent risk of stroke, heart failure, cancer and diabetes. Compare this to the risk of developing these diseases here in Australia and other parts of the Western world where they are the most prevalent of diseases. There are a number of studies that have shown that eating chocolate can decrease your risk of cardiovascular disease and stroke significantly, as well as lowering insulin resistance, reducing blood pressure and LDL’s. However, this benefit only occurs if you eat the right amount – too little or too much leads to no benefit or even to problems. It seems that eating small amounts at frequent intervals gives the best result. Most commercial chocolates are highly processed foods, which combine roasted cacao beans with various amounts of sugar, milk, fat and other ingredients. In many the flavonoids are removed because they taste bitter, but they are where the health benefits originate so removing them also drastically reduces the health benefits. Basically, the higher the percentage of cacao in the chocolate, the more bitter the flavor and the darker the color. A dark chocolate with at least 75% cacao is likely to offer most health benefits as the concentration of antioxidants will not be overwhelmed by the sweeteners and fats. Those Bittersweet chocolates are the way to go. The sweeter the chocolate the less the health benefit…. Organic raw cacao is the best way to eat your chocolate if you want all the antioxidants. So search out chocolate products that are both made from this and not heavily sweetened. Chocolates sweetened with cane sugar, fructose or high fructose corn syrup, and especially artificial sweeteners. Instead look for chocolate sweetened with honey or stevia which are much better choices. Coconut sugar is a low GI option if you do not have any problem with fructose. Genetically engineered cocoa beans (GMO). If the chocolate is certified organic it won’t contain GMO ingredients, but most other chocolate does. The right type of fat in chocolate is OK because it slows down sugar absorption. 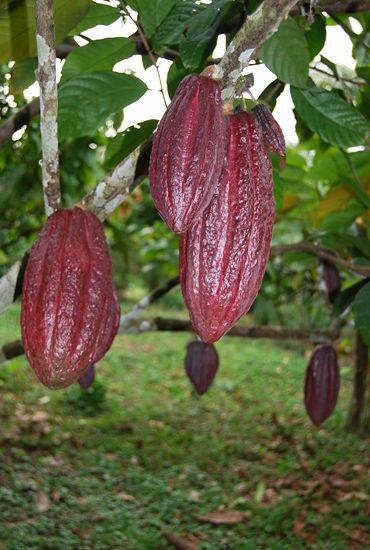 The best is cocoa butter, which is what occurs in the cacao plant. Coconut oil would be the next best fat. Make sure to avoid soy oil, vegetable oils and trans fats. And by the way, WHITE chocolate is heavily sweetened and has NONE of the phytonutrients. 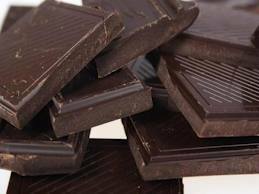 Have you wondered why eating some sorts of chocolate can make you feel so good? Cacao also contains the ‘bliss’ chemical anandamide which leads to feelings of excitement and alertness in our body, and improves your mood and reduces depression. Unlike caffeine, Anandamide is not addictive and does not have the side-effects of many drugs. One compound in chocolate that may be a problem is theobromine which stimulates the central nervous system and dilates blood vessels. It has about 25% of the stimulating power of caffeine, and like caffeine it is a mild diuretic. But in some people theobromine can cause them to feel hyped-up which is then followed by lethargy. In others it causes headaches. An average cup of coffee contains up to 175milligrams of caffeine which is about what there is in a 50gram piece of dark chocolate. In comparison a cup of hot chocolate has only about 4-5 milligrams of caffeine, substantially lower than coffee. But some scientists believe that chocolate does not actually contain caffeine and that it is the theobromine that causes the caffeine-like responses. Theobromine is also the component that makes chocolate so dangerous for dogs, because they lack the enzymes needed to metabolize it. I have a new favourite Raw cacao treat. It is Loving Earth’s ‘Organic Single Origin Drinking Chocolate’. It is made from raw cacao and raw chocolate, but it is sweetened, although it is with coconut sugar which is one of the better forms of sugar. I heard of an awesome idea for this healthy breakfast for Chocoholics the other day from David Wolfe. How about a chocolate smoothie? Fill your blender with water, coconut water, orange juice or tea (or a mix). Blend in some spirulina powder and gogi berries. If you live anywhere in the world other than Australia or New Zealand add some hemp seed protein powder (incredibly it is still illegal in both those countries) If you live in Australia or NZ you could add some ground flax, chia or pumpkin seeds instead. Add some chocolate (raw cacao powder would be perfect) and some cacao nibs for extra yum. One thing I used to love before I went Dairy-Free was Chocolate Mousse, so I was delighted when I first found this easy recipe (which is also vegan) that combines a few superfoods on the Australian Permaculture website. Blend in short bursts. Some more water may be needed to be added to ensure the mousse draws down and is properly blended. In case you are wondering about why you should only ever buy Fair Trade Chocolate take a look at this film from The CNN Freedom Project about the slave trade that exists in the cacao industry. Fair Trade chocolate isn’t perfect but it is certainly a step in the right direction. So go ahead and indulge your love of Fair Trade chocolate, in small amounts, with a dark organic variety, preferably with no added sugar. Look for Raw Cacao in the ingredient list, and avoid all those sweet, milky varieties – they are not good at all! What do you think, will you be adding this superfood to your eating plan?